This is a simple hello world example using Spring Framework 4. We will use Spring Boot and Spring Initializer to get things kicked off easily. 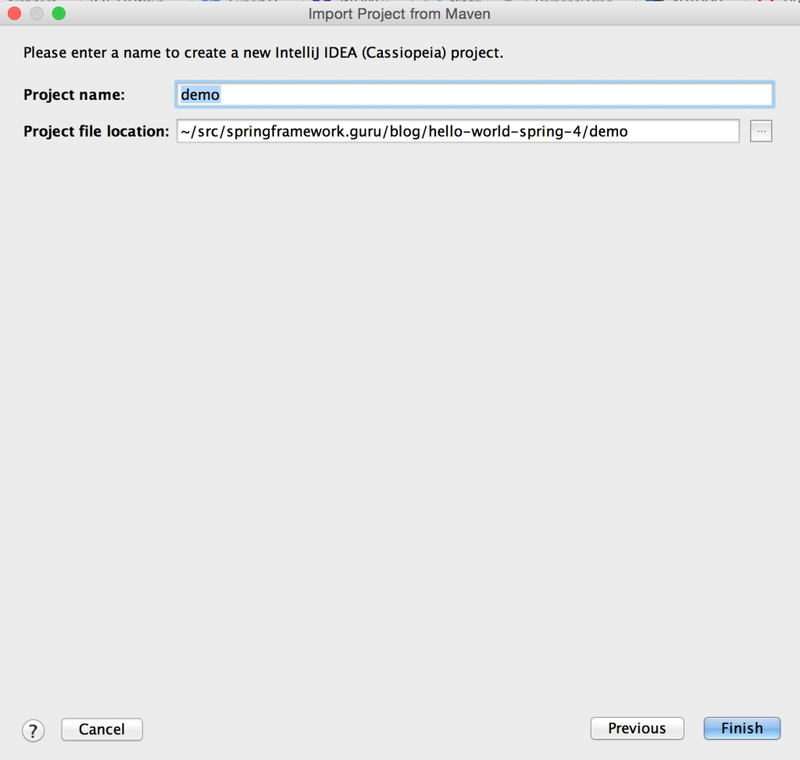 Follow this quick video tutorial to get a Spring Boot starter project. Go to the Spring Initializer website via this link. For our hello world example, all the defaults are fine. This will download a zip file containing a starter project to your hard drive. Unzip the contents of the downloaded file to a working directory. 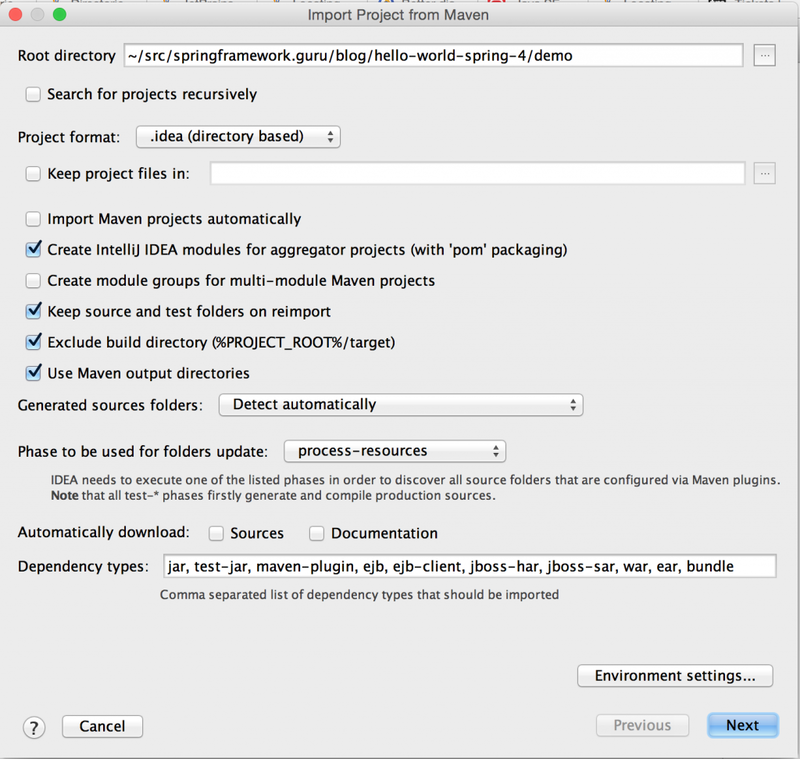 You now have a basic Spring project using Maven. The downloaded file contains the default Maven project structure. 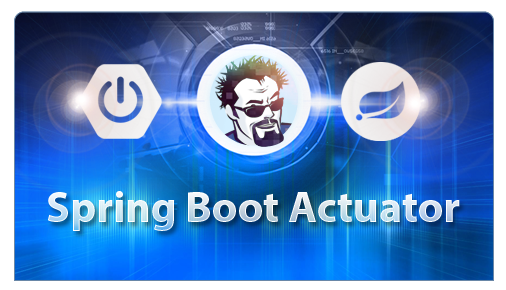 At the root of the directory is a pre-configured POM that contains a Spring Boot dependency. The Spring Boot dependency has child dependencies for Spring Core modules. 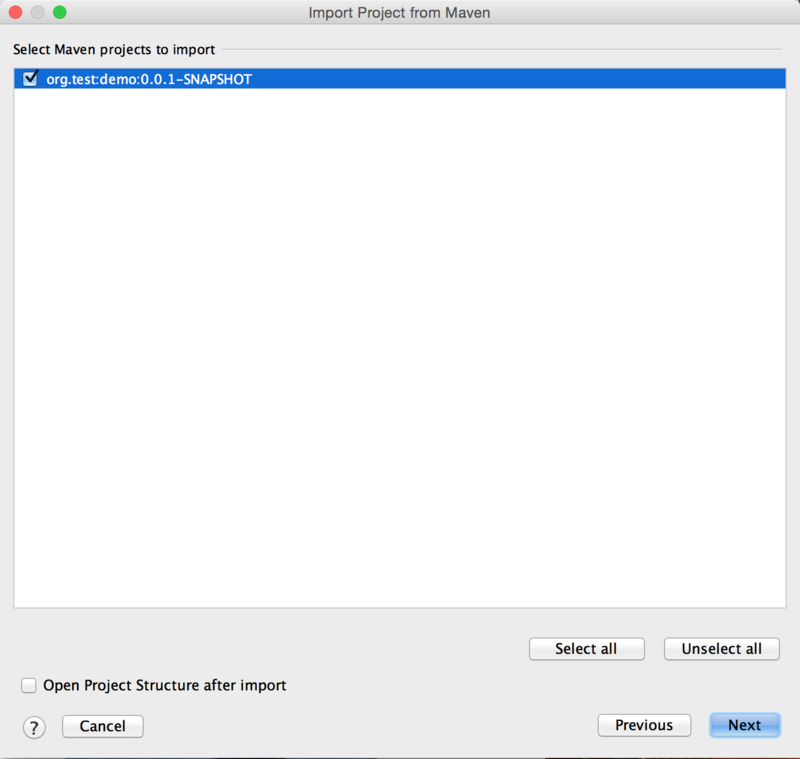 Import project into your IDE. Our favorite IDE is IntelliJ. From IntelliJ go to File / New / Project from Existing Sources. Locate the file pom.xml in the root folder of the downloaded project and click OK.
Click next from the Import from Maven screen. 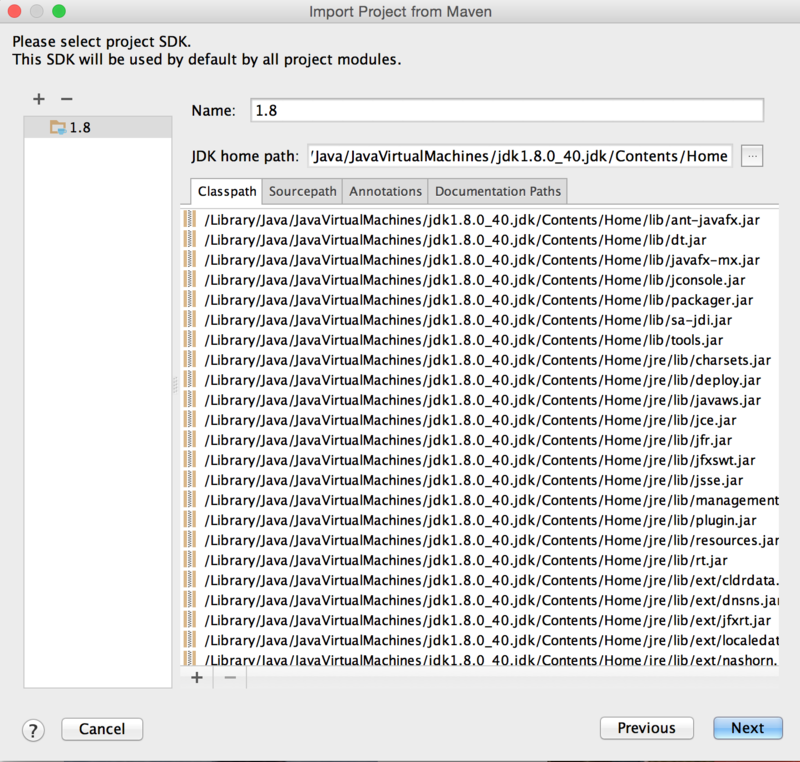 Select Maven Project, Click Next. 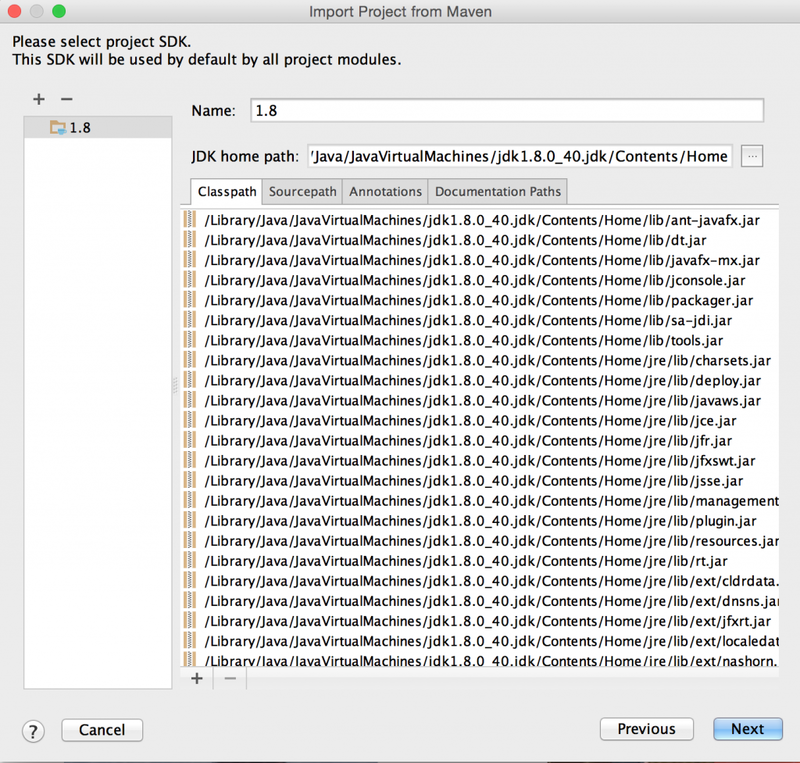 At this point the Maven project has been imported into the IntelliJ IDE. 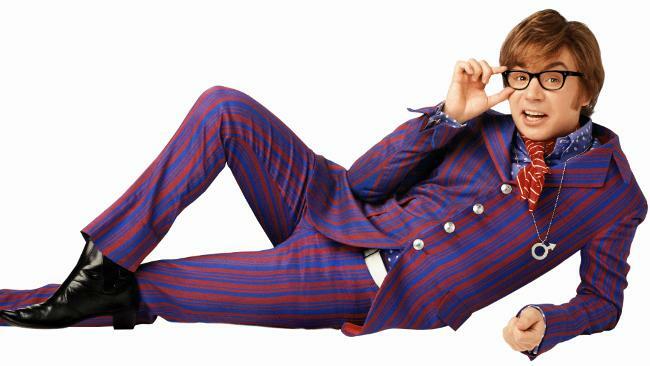 Join the Spring Guru Newsletter! Stay updated on the latest and greatest happening at springframework.guru. Create a HelloWorld class which will print ‘Hello World’ to the console in Java. Update the main method to get an instance of the HelloWorld bean from the Spring Context. Want to Learn More About Spring? 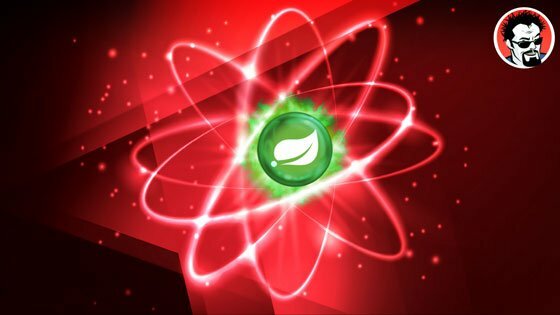 Are you new to the Spring Framework? Checkout my completely free online tutorial for the Spring Framework! Get Access the Spring Framework Guru’s free Introduction to Spring Tutorial! The first module of the Spring Framework Guru’s free Introduction to the Spring Framework tutorial is ready. Get access to the tutorial by clicking the link below.